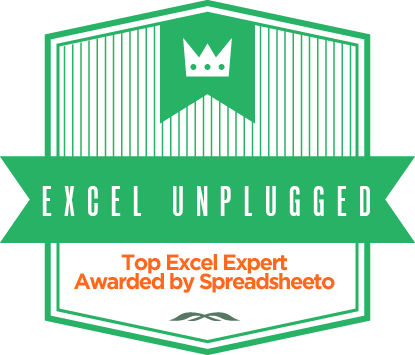 Excel has quite a few funny perks. 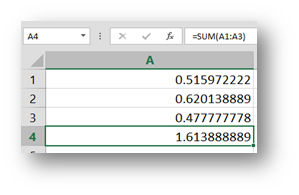 Once you get over the 15 digit limit in Excel and the fact it does not calculate exactly as it should, you will sooner or later arrive at the point where you will feel the need to calculate time. 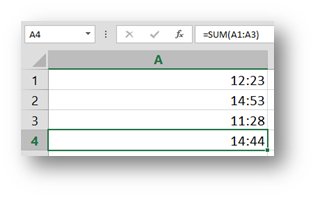 In this case time stands for time and date formats in Excel. This is where things can get really strange. First we will look at dates and then hours. You guessed it, 2.1.1904. And this four year leap is repeated across all dates in your workbook. Another reason, 1.1.1900 might not have been the best idea to start with, is the 02/29/1900, which will be covered in the “Feb 29th 1900 was a Wednesday” section. Now to overcome all this or better yet to switch between the 01/01/1900 and 01/01/1904 modes you can go to FILE/OPTIONS/Advanced and then in the “When calculating this workbook:” section you select the “Use 1904 date system”. It was obviously WednesdayJ. The problem is, that 02/28/1900 returns Tuesday and 03/01/1900 obviously Thursday, but in reality, they were consecutive days. So if you are looking for a difference in days between 01/01/1900 and 04/13/1948 you will get one day too many, since Excel thinks that 29/02/1900 was day #60 from the 01/01/1900 but in reality 03/01/1900 was. One more thing that Lotus brought along. 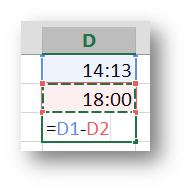 The DATEDIF function is very interesting since it officially never existed in Excel (not counting the accidental mention in the help file of Excel 2000). 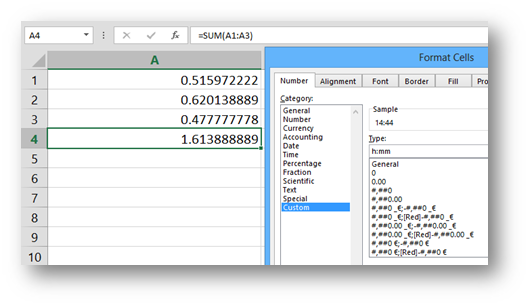 But despite its nonexistence, you can use it to calculate the difference between two dates in Excel. Basically you do something like =DATEDIF(Date1,Date that occurred after date1,”y”) and you get how many years passed between the two dates. The last argument can be “m” for months, “d” for days or “ym” for the remaining months over the calculated years and “md” for the days over the last calculated month. =DATEDIF(04/13/1948,12/31/2000,”y”)&” Years “& DATEDIF(04/13/1948,12/31/2000,”ym”)&” months “&DATEDIF(04/13/1948,12/31/2000,”md”)&” days.”. 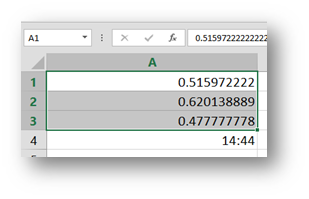 Now time in Excel is just a decimal number that can tell you what percentage of the day has already passed. So adding time should be very easy. So now we can add time. But how about subtracting time? This is an even bigger conundrum. 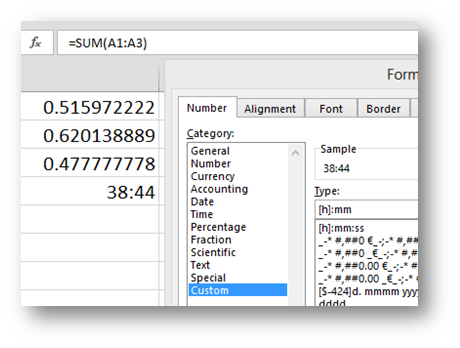 Let’s say we got the following time values and formula. 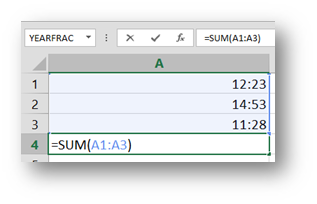 You get an endless ####… So how can you subtract time in Excel? Well, remember the 1904mode in Excel? It’s the magic wand in subtracting time! You guessed it [h]:mm Custom Format and you get -52:01. Here is my very complicated string for adding time — =IF((OR(E194=””,D194=””)),0,IF((E19440),((P194-40)),0))/2),0.25) which I use to calculate the end of the week -phew. Seem to have lost half my comment … here it is again. penny? I’m not very internet savvy so I’m noot 100% positive. You really should think about what you need first and go for that initially since all migrations can be painful!